Children cultivate their interest in science while improving their French language skills. 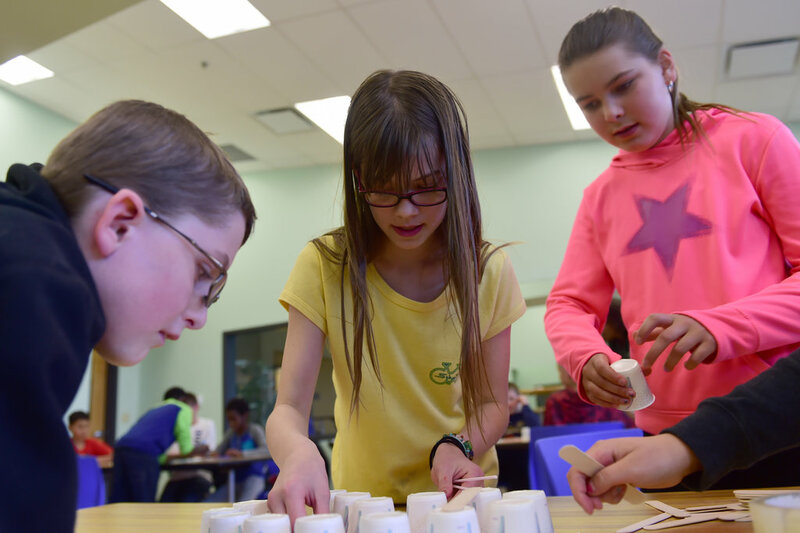 Using a STEAM (Sciences, Technology, Engineering, Arts and Mathematics) approach, EXPLORUM’s experiments offer a fun and interactive supplement to the Ontario Science and Technology Curriculum. Students explore, question and have fun... Actually, they learn without realising it. Under the constant direction of an EXPLORUM supervisor, each young scientist has his/her own material with which he/she experiments. In partnership with one of Toronto’s best bilingual school! Fun and dynamic science experiments in French (with a bit of English) for your young "scientist!" 90-minute workshops offered in 6 to 8 week sessions on Saturday mornings in a fully equipped Science Lab where students have their own station with up-to-date science materials and equipment. 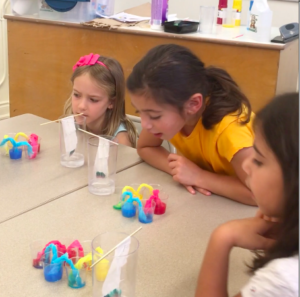 5- to 8-year-olds could make a liquid rainbow, concoct gooey slime, build planets or much more. 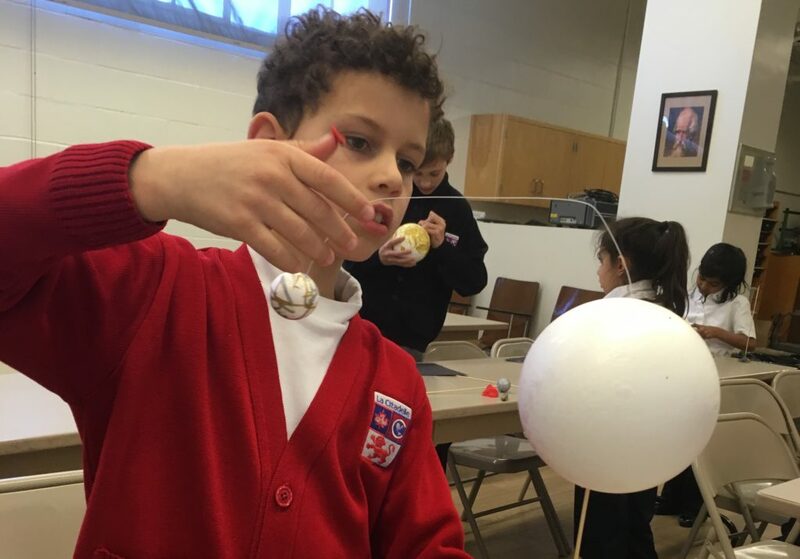 9- to 12-year olds could explore the principle of a catapult, pretend they are astronauts, build their own car among other experiments. Material and equipment: provided (except for common items such as empty plastic bottles, milk cartons or cardboard boxes – list of necessary items is provided in advance). Supervision: One or 2 parent volunteers are welcome if they wish to help the children during the experiments, but are not mandatory. 5-8 year olds (grades 1-3): 9:00 to 10:30 a.m.
9-12 year olds (grades 4-6): 11:00 a.m. to 12:30 p.m.
90-minute workshops for grade 1 to 7 within your facilities. 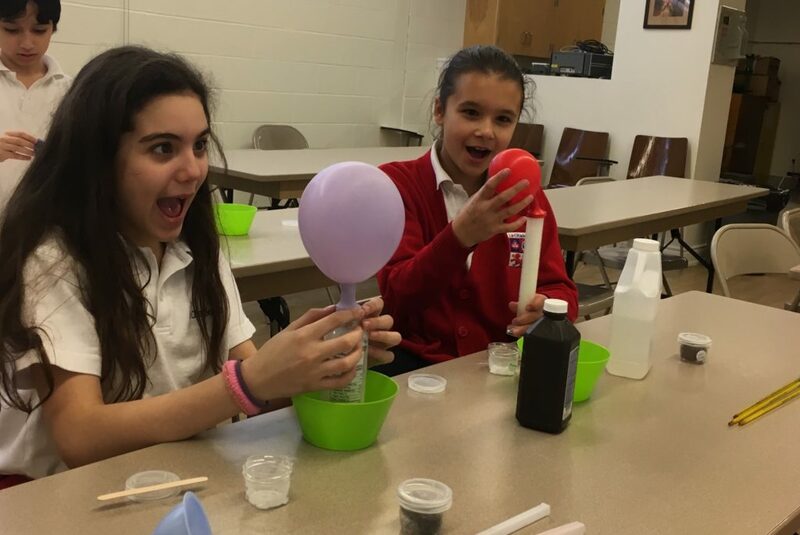 Stimulate your student's interest in Science with fun yet educational experiments in your class/lab (no bussing or traffic to deal with). Students work on their own experiment or in small groups to discuss their findings. Enrich your science curriculum in French using the STEAM approach and the fun educational style of EXPLORUM. Supervision: The teacher responsible for the science class has to be present during the workshop to assist students and the presenter during the experiments. School requirements: The room set-up and requirements will depend on each workshop. Experiments may require running water, heat, windows, electricity etc. The specific list follows the description of each program. Contact EXPLORUM if you wish to discuss these requirements prior to booking the programs. Price: $245/workshop up to 15 students ($9 per additional student - max group size 20 students). EXPLORUM provides all necessary material and equipment except common items such as plastic bottles or milk cartons/cardboard boxes. List of items is provided ahead of time. Weekly lunchtime experiments in the comfort of your school. Show your students the fun aspect of science without dealing with bussing, traffic and centres that are too vast to keep them safe in the large crowds! EXPLORUM staff shows up at your school with the appropriate materials and voila... your students become young scientists! Material and equipment: provided (except for common items such as empty plastic bottles or cardboard boxes – list of necessary items is provided in advance). Supervision: One or 2 parent or teacher volunteers are welcome if they wish to help the students during the experiments, but are not mandatory. The room set-up and requirements depend on each workshop. Experiments may require running water, heat, windows, electricity etc. The specific list follows the description of each program. Contact EXPLORUM if you wish to discuss these requirements prior to booking the programs. BONUS: 10% of fees go back to the school fund-raising initiatives. For shorter or longer sessions or alternative dates, please contact EXPLORUM’s administration. Weekly science experiments in the comfort of your establishment. After-school care could be so much more with hands-on science programs that feed your kid’s brains! Offered in the afternoon at participating schools or daycares. Material and equipment: provided (except for common items such as empty plastic bottles or cardboard boxes and common school supplies – list of necessary items is provided in advance). Supervision: Supervisors/assistants will be necessary depending on the age/size of group. 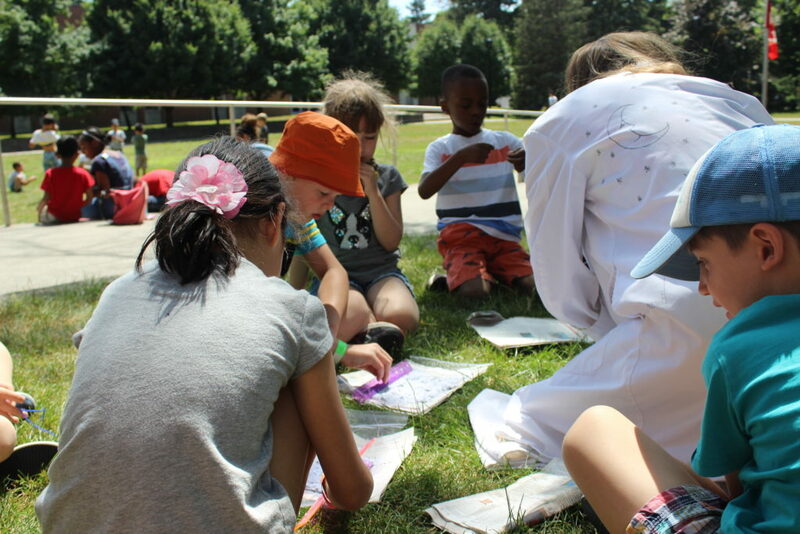 Add a touch of Science to your camp programming with the fun yet educational EXPLORUM experiments! Supervision: Camp counselors needed to supervise and assist children during the experiment. Price: depends on frequency, duration etc. 2017-2018 EXPLORUM.Tous droits sont réservés. 2017 EXPLORUM. All Rights Reserved.